Click below to see the Basket Bear in action! 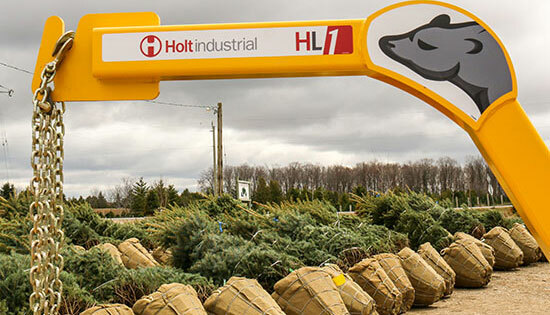 BasketBear is Holt Industrial’s line of basketed tree handling equipment. 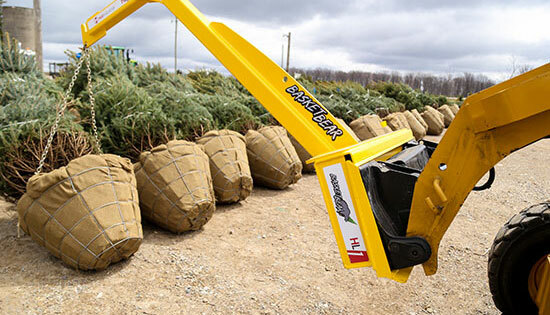 The HL1 Basket Bear boom pole is designed to give your skidsteer the reach it needs to easily load and unload basketed trees confidently. 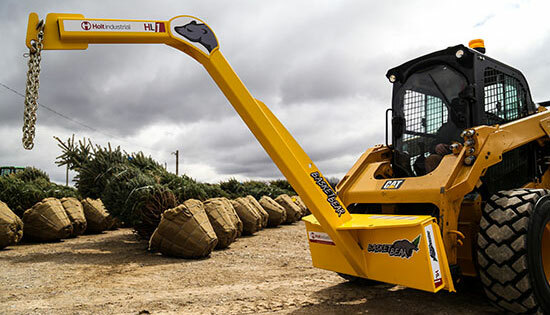 The angled boom makes it easier for the operator to get the boom in the right position. 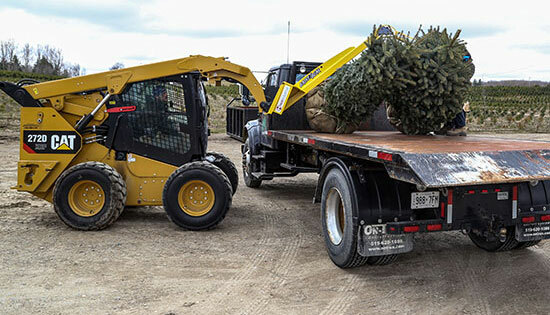 Its heavy duty construction can easily handle up to 1200Lbs. 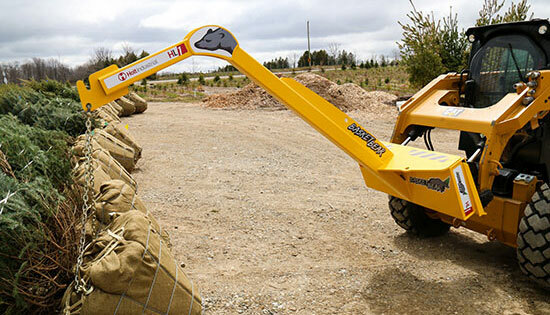 With the extra height and reach you will be able to load trucks from one side saving time and eliminating extra manouvering. 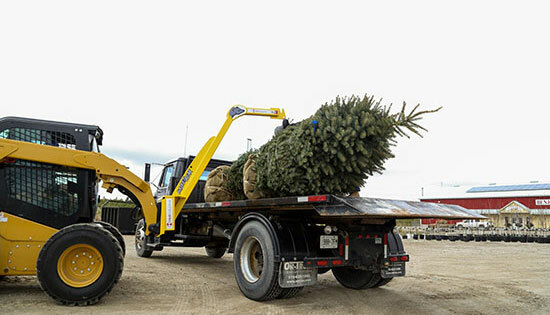 Safety chains are included and are adjustable on the clevis. 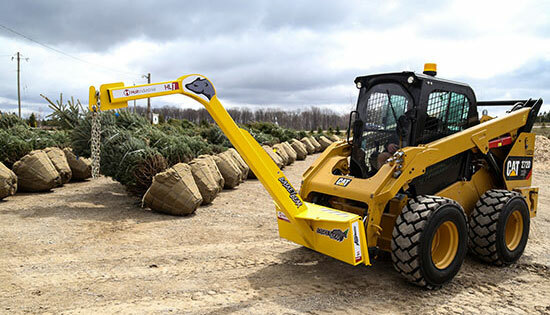 Integrated into the boom is a mounting hook to clip chains to between lifts for safety. BasketBear is ready to handle your basketed trees with care. Call today for your BasketBear.